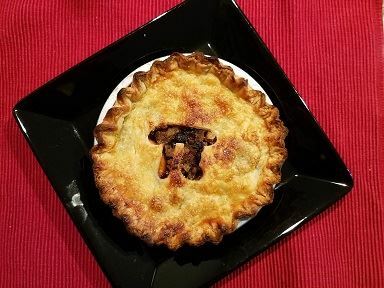 Learn the basics of 3D printing, and learn to make small fruit π (pi) pies. In ETA you’ll 3D print a π pi shaped cookie cutter that we’ll use in the Kitchen to cut out the top crust of your pie. The cutter will be yours to take home with you. The 3D printing part of the class is for total beginners. You will get to see BARN's 3D printers and how they work. 3D printing has many uses, ranging from practical to fun such as making customized cookie cutters, jewelry molds, buttons, prototypes, medical models used in surgery and more. If you have any curiosity about 3D printing, this is a good place to start. Why Pi Day at BARN? π is the 16th letter of the Greek alphabet, and in mathematics it is used to represent a special number—the ratio of a circle’s circumference (the distance around the edge of circle) to its diameter (the distance from one edge to another measuring straight through the center). Pi—which can be found in nearly all areas of mathematics and physics—is a known as a mathematical constant, meaning however big or small the circle is, its value will always be the same—roughly 3.14159. Class members will split up, with half the class starting in the ETA Studio, and half in Kitchen, then they’ll swap places. You will go home with a π cookie cutter, and a small rustic pie. Please take 11 minutes before class to watch this video on a genius method for making pie crust. Students please bring an apron and your own rolling pin if you have a favorite. For questions about ETA please contact the ETA Studio Lead, Annette Walker at eta.lead@bainbridgebarn.org. For the Kitchen Arts portion, please contact Kate McDill, kcmcdill@gmail.com.